There are people who spent more on interiors of their house than any other thing. If you count yourself as one of them, then, we believe you’d like to purchase this premium Samsung Refrigerator. There are many side-by-side refrigerators in the market, but you won’t find like this one. Let’s talk about why Samsung claims that this is the best Side by Side Refrigerator you can purchase in India. > It comes with a massive 680 liters capacity. > Equipped with the door alarm, if you want to keep away your children from what’s inside of the fridge. > The Multi-flow technology helps keep your food items fresh. > Power freeze and power cool option available in case you want a quick chilling or ice cubes. > With Anti-bacteria protection, get the assurance of prolonged freshness of your food. > There are 9 smart sensors that adjust the cooling accordingly. 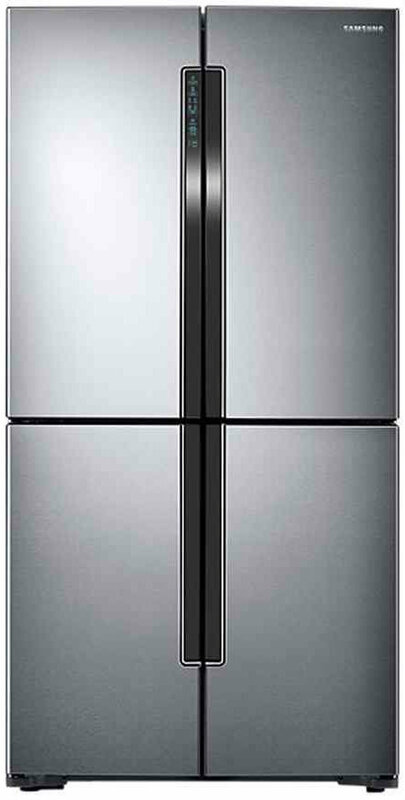 Samsung RF60J9090SL/TL 680 Litres Side By Side Refrigerator full specs and reviews as of Apr 2019. Buy it here!